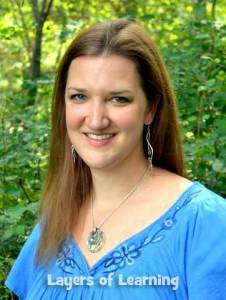 Welcome New Homeschooler! 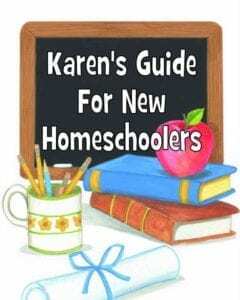 I wrote this Guide For New Homeschoolers because I remember what it was like to start out on my homeschooling journey. There were a few lovely people who helped me along the way. I learned a lot navigating my first decade of homeschooling, and now I want to share some of that with you so you can get started on the right foot. I divided the guide into sections, which you'll see at the bottom of this page. I recommend going right through, but you can skip around if there's a topic you're especially interested in. I'm Karen. I'm the little sister in the Layers of Learning duo. I remember feeling like I was lost at sea when I started homeschooling. I want to help you have a smoother start! I know how absolutely terrifying and overwhelming it can be to start a journey at the helm of your kids' education. I've been there. I remember THE MOMENT my husband and I decided to homeschool our kids. It was terrifying. But now it's been over ten years, and we haven't looked back. It's been one of the best, most defining decisions of our family. It has also been fraught with mistakes, fear, and doubt at times. After all, the most worthwhile things we do are seldom easy. I'm hoping to make your journey a little smoother. Come along and I'll try to answer some questions that might be lingering on your mind right now. Go through the steps below with me and we'll sort out a lot of your questions together. When you're finished, you'll feel steadier. I'm not promising it will all be easy, but it helps to have an overall plan, goals, and a clear picture of what kind of homeschool you'd like to have. They say peace is not found in a calmer storm, but in a better boat. I was really lucky to have my big sister to call when I decided to homeschool. She already had a few years under her belt and answered my incessant questions every time I called her. She helped me build my better boat. Now I want to help you build yours. So let's get started with your questions, and if other things come up along the way, e-mail me at contact@layers-of-learning.com or come find me on Facebook. I think it's best if we go through the questions step by step, so off we go. Step 1: Where Do I Even Begin? Step 2: What's My Homeschooling Style? Step 5: How Do I Cover Everything?